Patrick H. Leusch is Head of DW-AKADEMIE’s Project Development Division. 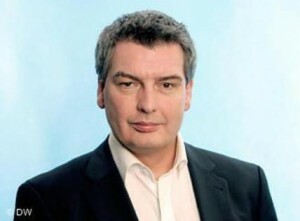 He is responsible for DW-AKADEMIE’s international networking and fundraising. His team develops strategic media projects worldwide with international consortia and partnerships. Patrick H. Leusch grew up in Belgium and is fluent in German, French and English. He worked for many years as an editor and reporter for leading TV and radio stations in Germany. He also served for many years as the deputy West Africa correspondent for German public broadcaster ARD. For DW-AKADEMIE he has coached and trained journalists and broadcasting executives from TV and radio stations in Africa, Asia and the Arab world since 1998.